Whenever we type google.com in the address bar, it automatically redirects to your country specific google address, for eg: in India, it is google.co.in. It have several advantages and disadvantages. The advantage is that the search results are mainly focused on the websites hosted in India, especially near your location (only if you have shared your location). This is much useful when you are searching for a restaurant, a Textile Shop or something similar. You don't need to know about restaurants in Washington when you are in France. Right? 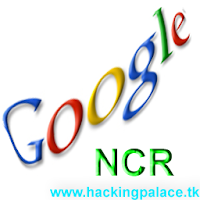 Want to apply NCR (no country redirection) ? So simple, just type /ncr with your URL.! This trick can be applied to all google services like Youtube, Analytics etc.